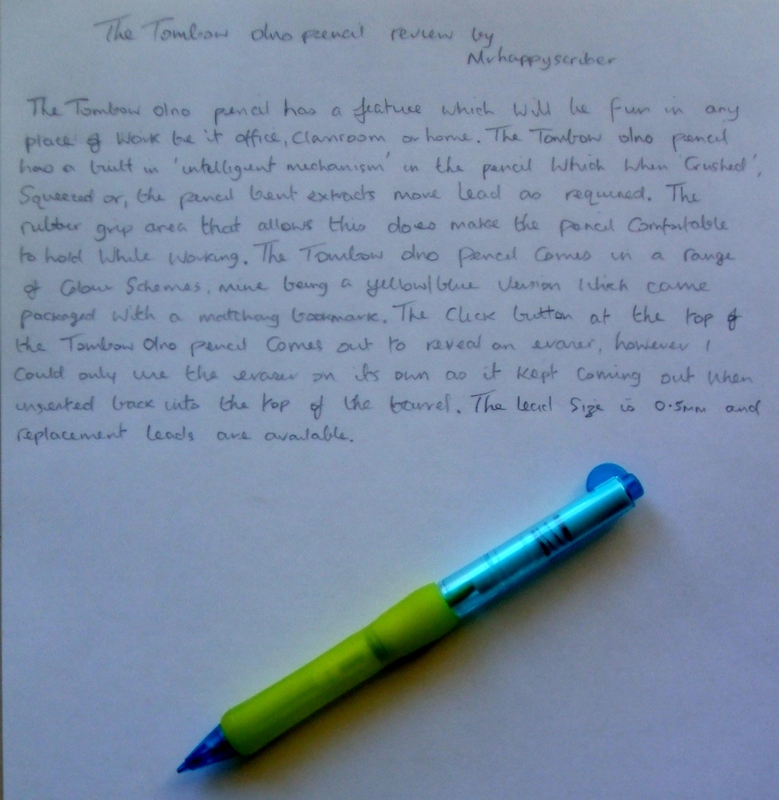 The Tombow Olno pencil has a feature which will be fun in any place of work be it office, classroom or home. 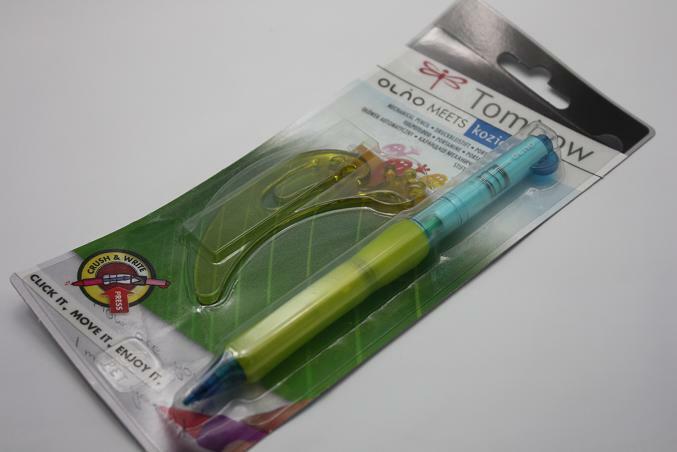 THE Tombow Olno pencil has a built in ‘intelligent mechanism’ in the pencil, which when crushed, squeezed or bent extracts more lead as required. The rubber grip area that allows this does make the pencil comfortable to hold while working. The Tombow Olno pencil comes in a range of colour schemes, mine being a yellow/blue version which came packaged with a matching bookmark. The click button at the top of the Tombow Olno pencil comes out to reveal an eraser, however I could only use the eraser on its own as it kept coming out when inserted back into the top of the pencil. The lead size was 0.5mm and replacement leads are available. Can’t realy say, as have went that far with this pencil yet.